No Federal parallels in Victoria, argue all those with a vested interest. “The difference between my elevation and that of Julia Gillard is we have a united team, we don’t have blood all over the floor and we didn’t stab in the back an incumbent (sic) … against their wishes.” – Denis Napthine, ABC Radio. VICTORIA’S new Premier, Denis Napthine, has been quick to assure voters his swift, overnight ascension to power at the expense of Ted Baillieu is entirely dissimilar to the day former Prime Minister Kevin Rudd was so brutally shown the door. 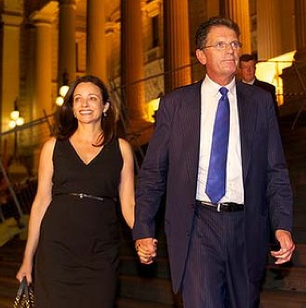 Ted Baillieu leaves State Parliament after being dumped by his party. And he may have a point. Dr Napthine, a veteran MP from south west Victoria, is a factional ally of the outgoing Premier. And aside from some fighting words earlier in the day, Ted Baillieu appears to have accepted his fate without a struggle. There hasn’t (at least yet) been any bitter parting shots. But you can expect the new leader will be hounded over coming weeks as to why Federal Opposition Leader Tony Abbot’s arguments about Julia Gillard’s Government’s “illegitimacy” shouldn’t also apply to his own fledging administration. 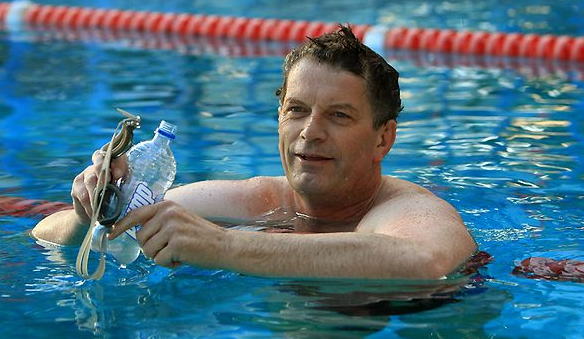 A lot now rests with the rejected leader, Ted Baillieu. The man who unexpectedly steered the Coalition to power in 2010 now must decide if he will truly be a staunch supporter of Dr Napthine (as he has pledged to do), or follow the lead of Kevin Rudd and engage in a rolling campaign of covert destabilisation. Chances are ‘Ted’ – as he’s affectionately known on Spring Street – will choose the first course. As even his internal critics will tell you, the former Premier is not an egomaniac and lacks mongrel. Chances are he won’t harbor delusions of a comeback. 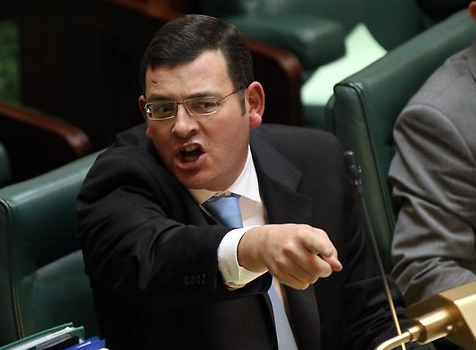 So what does this all mean for Victoria’s Labor opposition, led by Daniel Andrews? He has to attack this sudden change of leadership without casting aspersions on the conduct of his own Canberra colleagues. So far, he’s been choosing his words very carefully. “No one voted for Denis Napthine,” Mr Andrews told Lateline last night. As soon as Mr Andrews starts talking about the Napthine’s “illegitimacy” or “lack of mandate”, Julia Gillard’s political opponents will have a field day. Of course, there’s another reason that line of attack wouldn’t suit Mr Andrews. Before Ted Baillieu swept to power in 2010, Mr Andrews served as a senior minister in the “unelected” government of John Brumby. ‘We didn’t hear Daniel Andrews resigning to a high dungeon in the Brumby Government because Brumby wasn’t elected by the people,’ Premier Napthine said on ABC Radio this morning. Politics is nothing but a smouldering pile of contradictions.